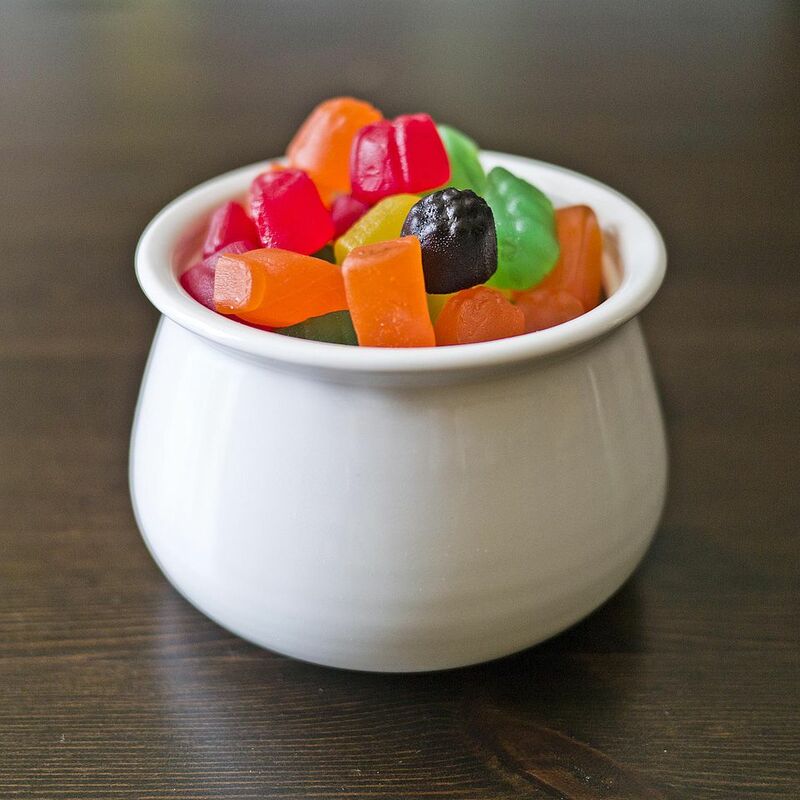 These chewy, fruity gelatin-based treats take their name from the store-bought candy, often sold in movie theaters. Fortunately, this version produces a candy that's easier on the dental work. You can substitute other fruit purees--such as raspberry or blackberry--for the strawberry puree. Prepare a 6-inch square pan by wetting it lightly with water, and wetting a knife or cookie cutter. Stir together the gelatin and sugar in a medium saucepan, then add the puree and 2/3 cup water. Stir over medium heat until the sugar and gelatin are dissolved. Bring to a boil, then cover and boil for 5 minutes. Pour into the prepared pan and allow to set completely. Once set, turn out of the pan onto waxed paper. Cut into squares or shapes with the prepared, wetted tool of your choice. Roll candies in granulated or superfine sugar. 10 Ways to Make Candy Out of Cake!